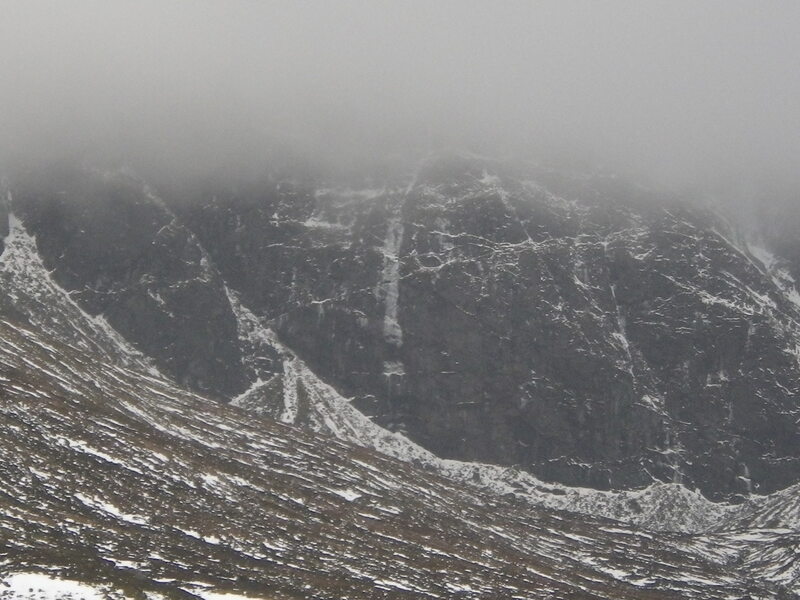 (Above) Stob Coire Dubh (916m) Only the very tops managing to avoid a total loss of snow from the overnight rain. The recent general light cover at lower elevations quickly became depleted with the temperature rise. 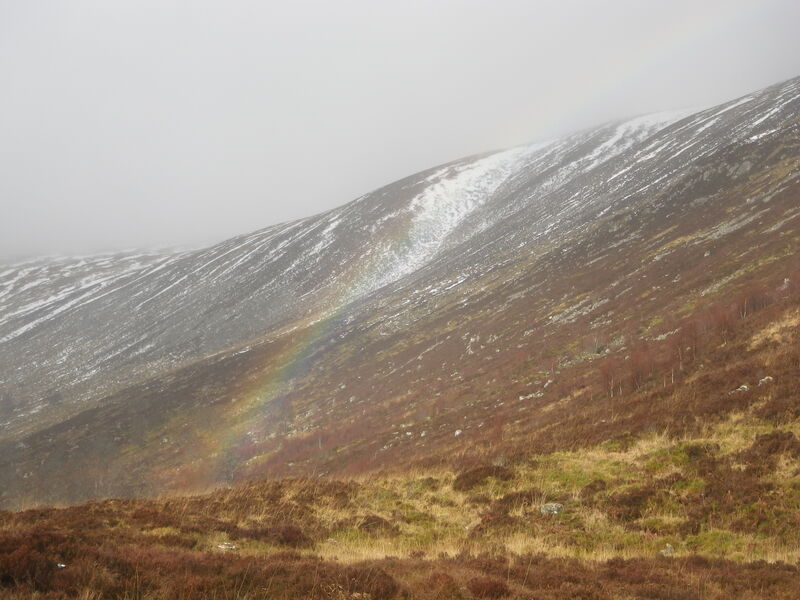 (Above) A rainbow over Balloon Gully on the march into Coire Ardair provided a ‘highlight’ for the day! 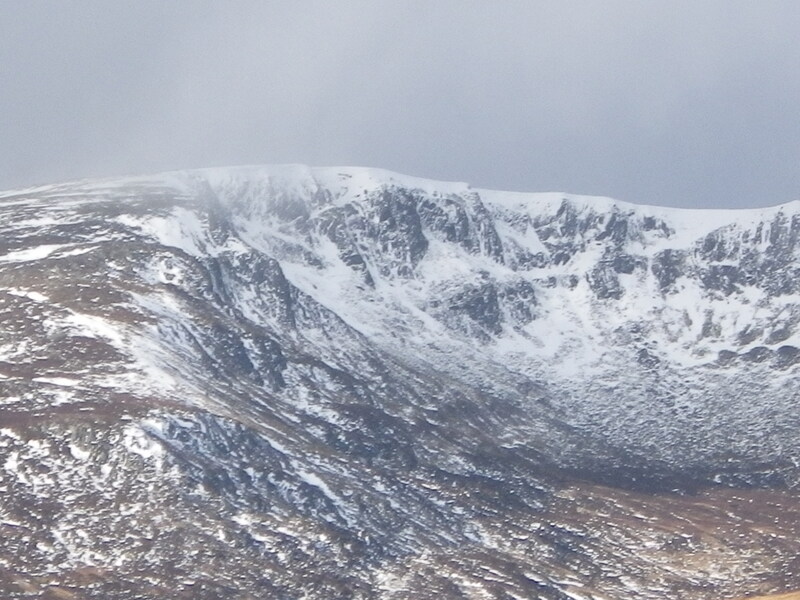 (Above) The ever blackening hulk of Pinnacle Buttress with a bare and rocky Raeburn’s Gully to it’s left. The bottom end of gullies likely to see further rain overnight – some top up of cover is possible at gully exit elevations and around the coire rims, as things cool a little later tomorrow – however the The Met office advising they are unsure of quantity and the Northward extent of any rain / snow boundary….. so we’ll not hold our breath!! 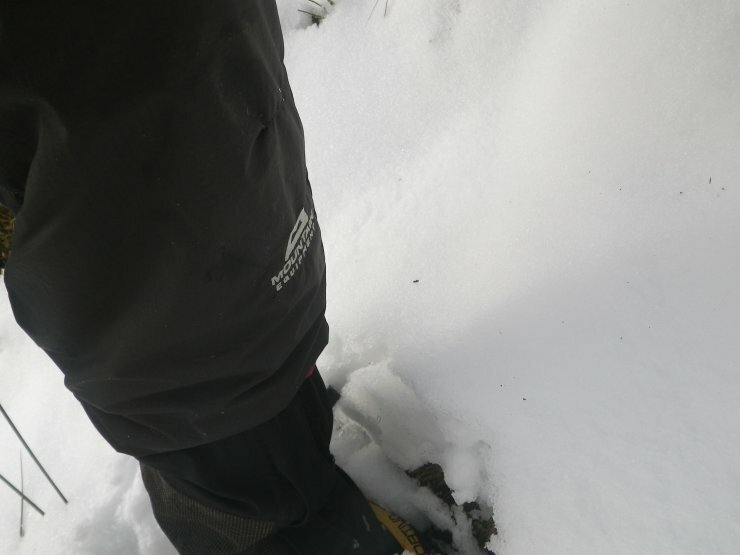 (Above) Mt Equip ‘Kinesis Pants’ perfect for today’s showery conditions on the ‘march’ into Coire Ardair.